My favorite 6 step cleansing routine featuring Environ’s Dual Action Pre-Cleansing Oil. The way we wash our face sets our skin up for each step that follows. Your cleansing routine has the ability to decongest and tone your pores, exercise your skin, and balance your natural moisture barrier. If performed too quickly or by using improper products for your skin’s type and condition you can also strip your skin, increase clogged pores, deplete your natural barrier of protection i.e over-dry and create red irritation on your skin. 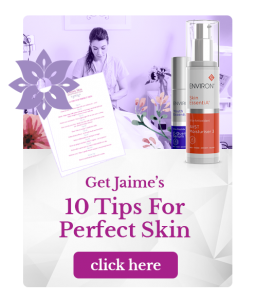 Most of us have never truly learned how to properly wash our faces, and many of us are not getting the full benefits of our expensive and beloved skin care products because of that. My favorite skin cleansing routine takes about 5 1/2 minutes to perform and the benefits you will receive from giving it a try daily should be noticeable within just a few days. 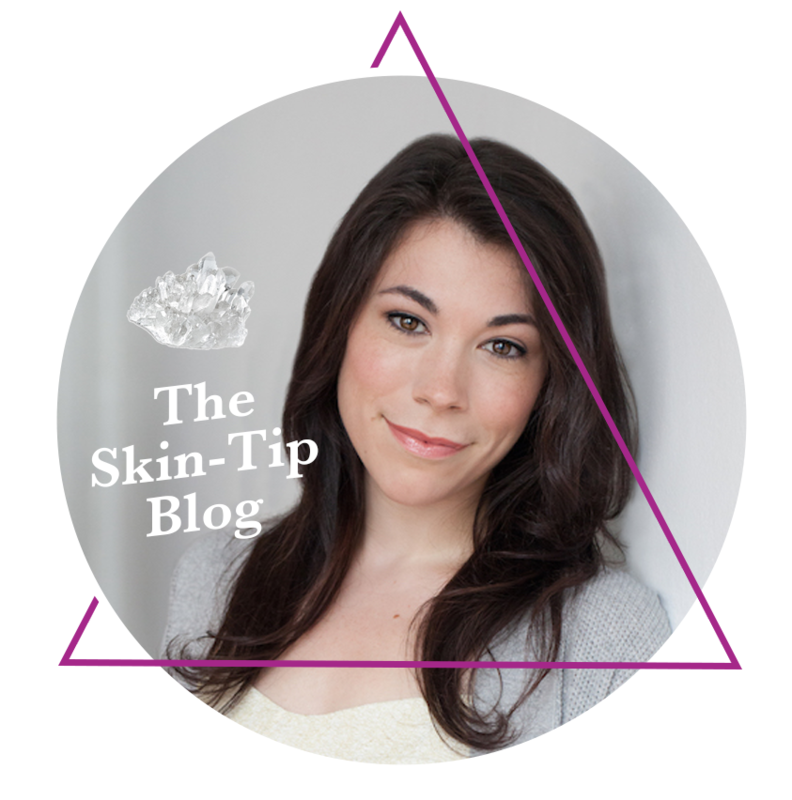 I was inspired to write this post after observing that 3 out of every 5 clients I see are unaware of how to properly cleanse their skin, and are suffering with unnecessary acne and extra blackheads because of it! I even had one client recently tell me she learned to wash her face through the Noxcema commercials in the 90’s which meant that she was cleansing for approximately 7 seconds. Her congested skin was the result of her not knowing how to thoroughly wash her face. For this post I will be featuring Environ’s Dual Action Pre- Cleansing oil which is one of my personal favorite products for deep cleansing my own blackhead-prone skin without over-stripping. What I love about this product is that it is that it is formulated to emulsify once water is added over-top of the oil so it rinses clean without leaving the skin feeling oily or weighed down. I use this product on my clients in all of my facials and I can safely recommend it for ALL skin types. Since oil attracts oil, it does a beautiful job of loosening up existing blackheads that may want to lodge themselves onto your T-zone. When used daily, the way I am about to teach you, you can expect to see clearer, cleaner looking skin very quickly. If you are acne-prone please do not be afraid to use a pre-cleansing oil. On the contrary it will help to dislodge clogged pores while hydrating your skin. A high quality cleansing oil will actually keep your skin clearer, not clog your pores as you may fear. 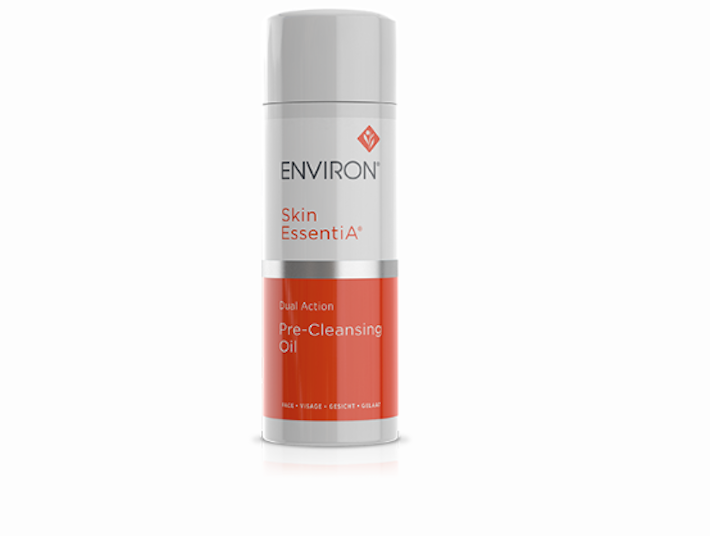 Want to order Environ’s Dual Action Pre- Cleansing oil? Try out my 6 step cleansing method for 7 days in a row then let me know how you feel! Remove makeup using either a cleansing wipe or a bit of pre-cleansing oil on a cotton pad. Do not rinse your skin. Apply a dime size or more of pre-cleansing oil over dry skin (enough to get a nice slip) and gently massage the oil over the skin paying extra attention to areas where you see blackheads, flakiness and/or congestion.  This is also a great time to give yourself a deeper firming facial massage if you have one you like to do. Wet your palms and massage that water over the oil on your face. You will see the pre-cleansing oil turns milky white in color as it emulsifies with the water. Rinse clean (but don’t dry your face quite yet). Massage your cleanser of choice over your skin. While massaging I want you to count to 30 Mississippi. This will ensure you are giving your skin a full 30 seconds of cleansing. I want to re-emphasize how important it is to count to 30 Mississippi either out loud or in your mind. Just trust me on this. I do it too! Be sure to include your jawline, below the jawline, your neck and out towards your ears in this cleansing step. I often notice people miss these areas during their home cleansing routine which is why they break out in these zones. Now that you have thoroughly cleansed your pores I want you count out your splashes and splash your skin with 20 splashes of warm water. Yes 20. This method will not only rinse your skin clean, but will improve your skin’s circulation. This leads to a more glowing complexion when performed every day. Pat your skin dry – tone – apply your eye cream or gel – your serum if you are using one – a moisturizer or face oil – ending with Spf if it is daytime. We are a tribe of over-cleansed faces. Try following this deep cleansing routine at night then simply splashing your face with 20 splashes of warm water in the morning rather than re-cleansing. Your skin is not dirty after a night of sleep. The only reason to cleanse again is if you are going to the gym and doing a sweaty exercise in which case I do recommend cleansing after to avoid breakouts.